Last year Steven Spielberg dropped out of directing the adaptation of Chris Kyle's autobiography American Sniper, Clint Eastwood took over the film with Bradley Cooper starring from the script by Jason Dean Hall. Now we have the first trailer for the film that follows the most lethal sniper in US history on his journey from rodeo clown to US Navy Seal chief. 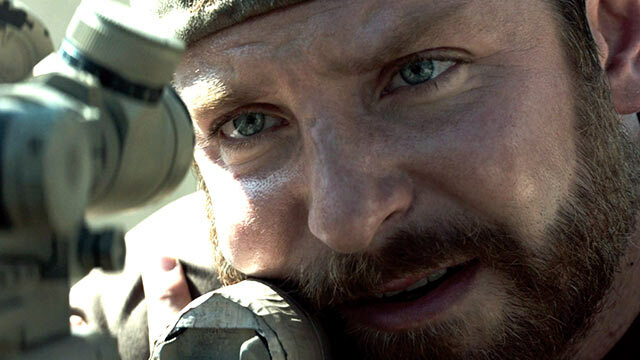 American Sniper stars Cooper, Sienna Miller and Kyle Gallner, and will hit select theaters on Christmas Day but will expand nationwide in January. The trailer is basically one scene from the film and it is rather intense, it absolutely has the feel of a movie like The Hurt Locker, which if Cooper's performance in the whole film is like this 2 minute clip then there is a lot to look forward to.